You want the best for your child, and the best includes knowing that God loves your child and your family. By christening your child you are saying that you want them to be part of the family of God and to live their life knowing that they are loved by God. But of course they can’t do that on their own and so you and the godparents will make promises for yourself. It is good when the parents and godparents are also on a journey looking for God, and it can be that having a child christened is the way that journey towards God progresses. The christening service is a lovely service where we mark the child with an invisible ‘badge’ of the cross, we use water to be a sign of a new beginning with God and we also give you a candle to express the light of Jesus in your life. We do christening both as part of our Sunday services and also separately when we can concentrate on the needs of the family. We enjoy getting the children thoroughly involved and may get them to play instruments. If your christening is separate we will invite you to come to one of our family service to receive your christening certificate. 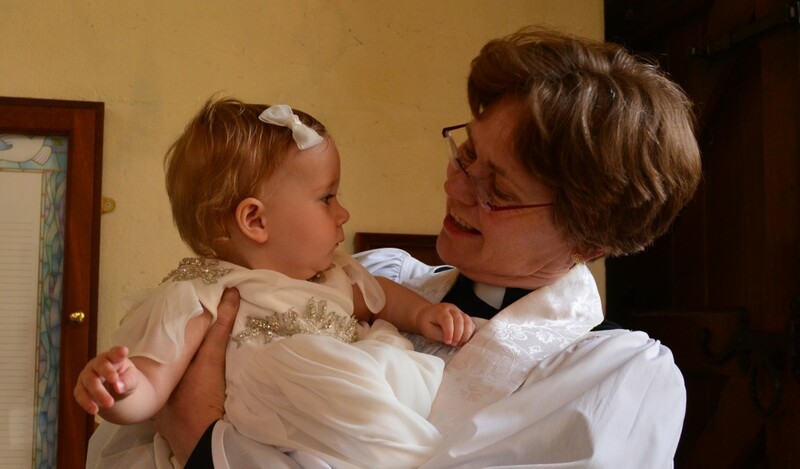 And of course, its not only children of different ages who come to be christened but also adults, sometimes as part of a christening and sometimes for another reason. We welcome everyone. ‘Thank you for making the christening so special. Everyone enjoyed the service so much. If you would like to know more, please contact Revd. Sandra Sykes on 07795373832 or by filling out the form below.